As 2013 starts, we enter our 15th year doing the WEBSITE and 3rd year with our newest project: Short Track News RADIO. STN Radio is a weekly internet radio show that is LIVE every Monday night. As social networking became more popular we also added a TWITTER feed, a FACEBOOK feed and our YOUTUBE channel which is now posted for all to see. We've been fortunate to have many great supporters on the website and are always looking at ways to give companies in the racing game a affordable way to advertise themselves. We feel with what we have now, we offer a great mix of ways to spread your word and drive people to what you are offering. That being said we are looking for marketing partners to help us move forward. We are offering our best deal ever on advertising. Advertising with us gives you the exposure you need. The exposure the side of a race car or ad in a race track program can’t give you. It’s gives you 24/7/365 exposure on our website & Facebook page and weekly exposure all year long (even in the off season) on our radio show. Anyone that signs up by April 1st will get a banner ad on the front page of our website for one year. If you have a website it will be linked back to your site. You can create the artwork or we can do it for you. Your ad will reach thousands of people, all in the demographic you are trying to reach. You will also get a mention on the radio show. You will get 24/7/365 exposure on our website for only $350, less then a dollar a day. If you provide your own commercial we will play it weekly on the radio show for FREE. You can even send it rotating commercials for us to use. If you don't have a commercial, we can create one for you (professionally) for only $75 more. Once we create it, you will access to use it for any other promotions you are working on. And as a Special Offer the first 5 people to sign up will have their business as a “featured” advertising segment on the radio show. We have many options to choose from. We're excited about the 2013 season and we hope you are to. Any questions, let me know. The shows are hosted on BlogTalkRadio.com and you can go there and register for a account for free. 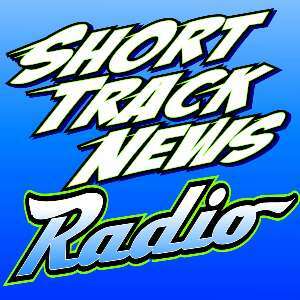 Once there look up the show "Short Track News" and click the "FOLLOW" button on our page. This will send you E-mail updates when our shows will air and you can set your account up to get E-mail reminders. On this page you will also be able to go to the "ON DEMAND" archive section for past shows. We will also have a open chat room to coincide with our live shows where viewers can go chat with each other and ask questions to be read on the air.